Be Imitators of God ! If God is in you, ACT LIKE IT ! These are not church meetings or fundraising meetings. These are 1 hour of: How any Believer can do Extreme Miracles Instantly on the Streets to easily win souls. 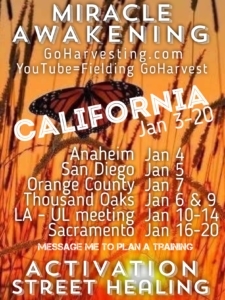 Training, Activation & Let’s Go Out to Demonstrate God’s Love ! !